It seems like every day we are bombarded with ads, editorials and articles recommending changes in the way the Department of Veterans Affairs (“the VA”) fulfills its mandate to our brave warriors. Among the commission’s 18 recommendations for a sweeping overhaul: Create a more comprehensive and flexible “VHA care system.” That’s envisioned as a less rigid network of providers including doctors from the VA, military hospitals, other federally funded providers and facilities, and VA-credentialed private doctors and clinics. The commission also suggests that the current Veterans Choice program be expanded so that all vets can consult private physicians. Good idea: It doesn’t take a specialist in battlefield wounds to prescribe blood pressure meds. In 2014, Congress passed Veterans Choice, which already allows many vets to choose a private physician outside the system if they live more than 40 miles from a VA facility or have to wait more than 30 days for an appointment. 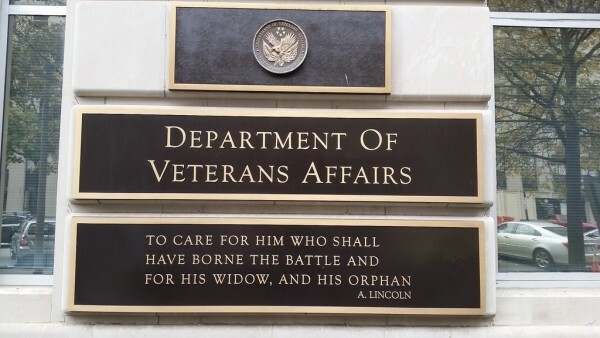 Now, I don’t find anything particularly alarming or inconsistent with the opinions of others regarding the VA.
As SFTT has suggested on numerous occasion, the Department of Veterans Affairs is simply too large to succeed in its mission. Never once has SFTT recommended that the VA be privatized. In fact, the recommendations by the Commission on Care seem more in line with a common-sense approach to providing Veterans the services they require and not necessarily the services the VA is prepared to provide. Nevertheless, the “privatization of the VA” has now been turned into a campaign issue and pundits on either side are weighing in with positions that seem totally ludicrous if carefully analyzed in the light of the Commission’s report. For instance, VoteVets launched for following $500,000 ad campaign suggesting that there is a conspiracy to privatize the VA. When someone goes out of their way to label themselves as a “progressive,” or “conservative,” or “liberal,” or any other “emotive” or “politically tarnished” label – I immediately dismiss their views as muddled and little more than self-serving rubbish. Mind you, their “politically-scrubbed” views could be fair and useful, but I always suspect an ulterior agenda that lacks intellectual rigor and clear thinking. These ads have the appearance of propaganda rather than honesty. In fact, I would go one step further: propaganda or deceptive promotions from politically or financially biased organizations are certainly misleading and probably fraudulent. Clearly the suggested reforms by the Commission have triggered outcries among the 230,000 employees of the VA that would no doubt be impacted by a “more-responsive” VA.
As the war of words continues on blocking much needed change within the VA, it is unlikely that Veterans will see any meaningful change in the services provided by the VA. Sadly, the brave men and women who have proudly worn the uniform of our country will not receive the reforms and support they need as they try to recover their lives. The onus is on us to put an end to self-serving political agendas.